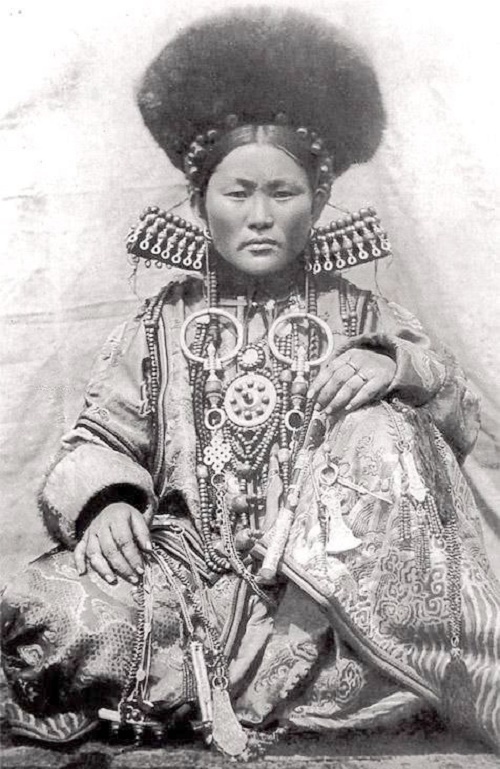 First of all, Buryat women paid great attention to jewelry. 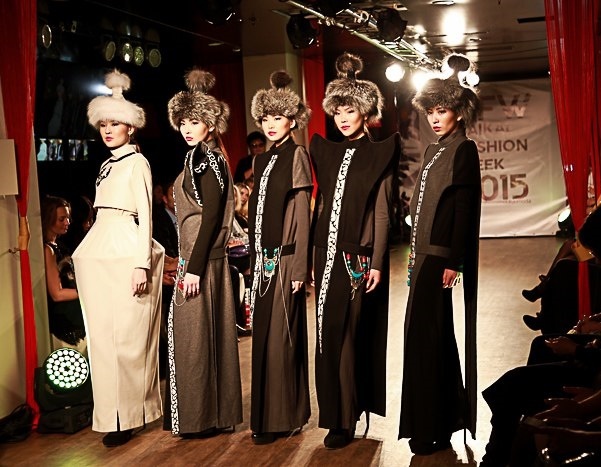 Female ornaments of eastern Buryats were distinguished by complexity and multicomponent. 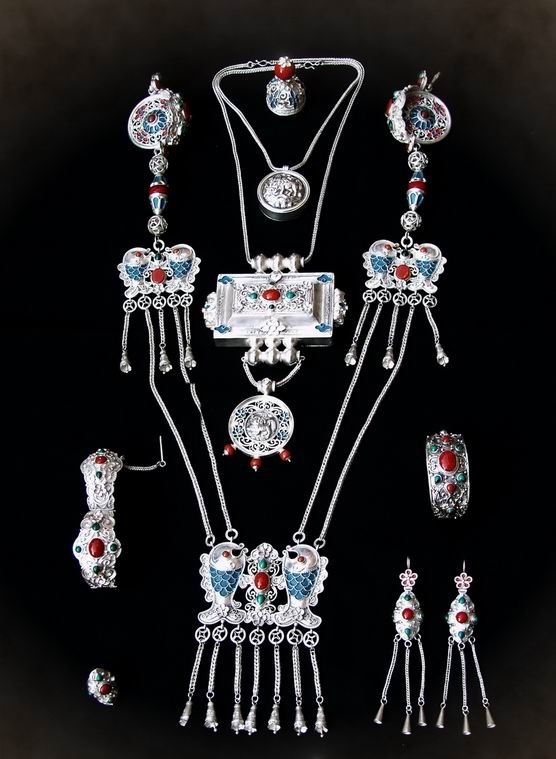 Made mainly of silver with inserts from coral (the most valuable was considered pink coral), turquoise and amber. 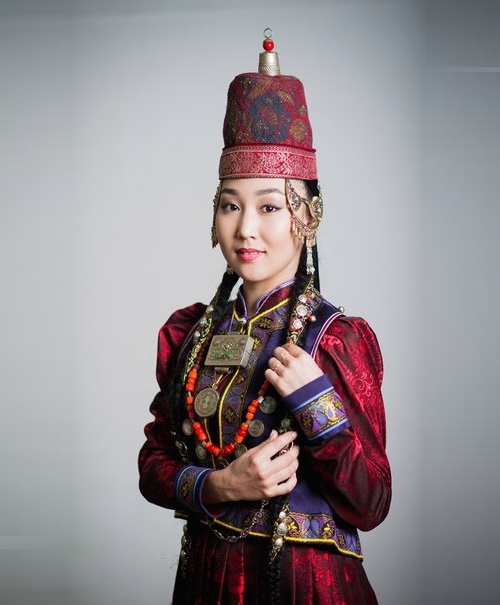 Traditionally, the headdress of the Eastern Buryats is as follows: the upper part of the headdress denotes the sky – tengeri, red tassels – the rays of the sun – the naran, the lower part – the ground – the gasar. 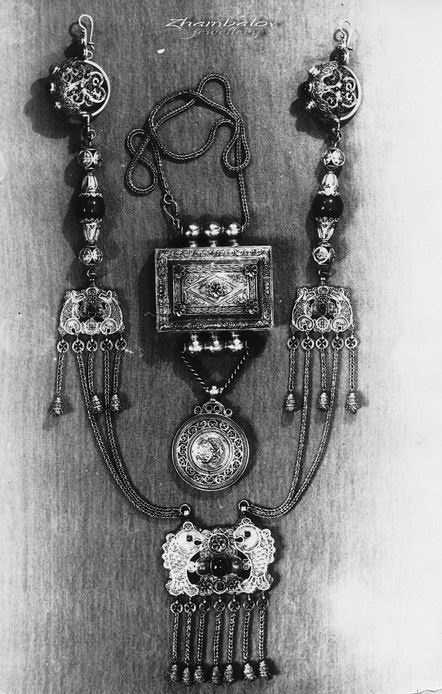 Hanging on the chest from a headdress, temple ornaments and earrings symbolize the stars, the sun, the moon, rain, snow, etc. 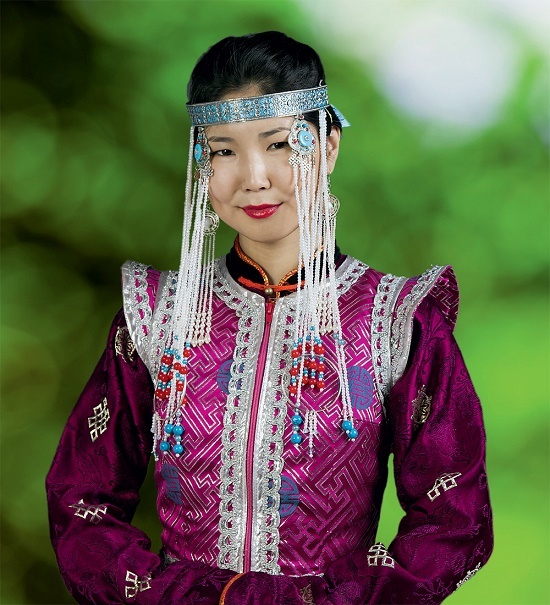 Neck and breast decorations (guu) have fertile symbolism and correspond to the sign – Earth. 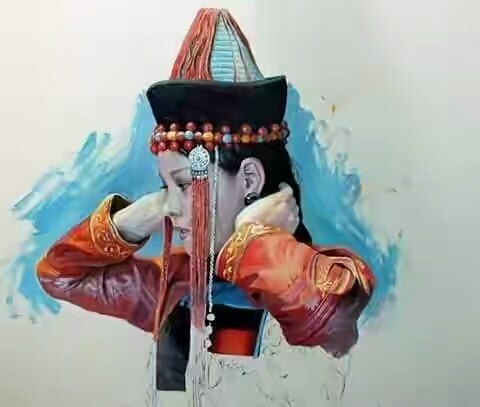 Wearing earrings in the ears, rings, bracelets, chains had in ancient times a magical meaning, which is now virtually lost. The explanation is as follows: each person has a soul, life energy. And the soul can leave the body through the protruding limbs of the body – fingers, feet, earlobes, eyes, nostrils, and mouth. 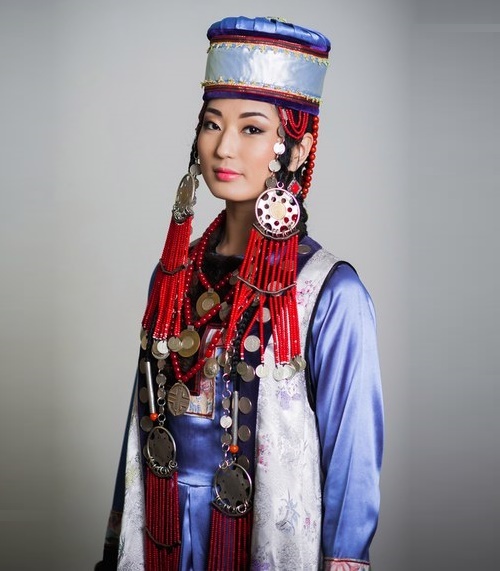 In order to “close” these exits, women wore earrings on the earlobe, and they wore rings on the fingers. 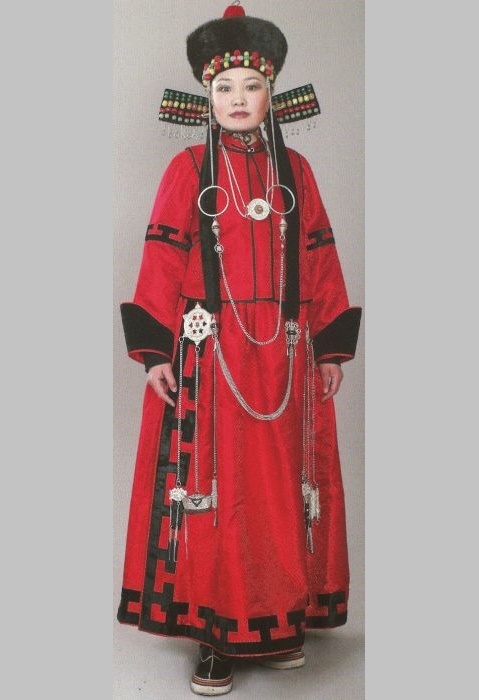 But since it is difficult to wear rings on all the fingers, they “closed” the whole arm with a bracelet, put a chain around the neck, and a necklace – all the holes on the head “closed”. 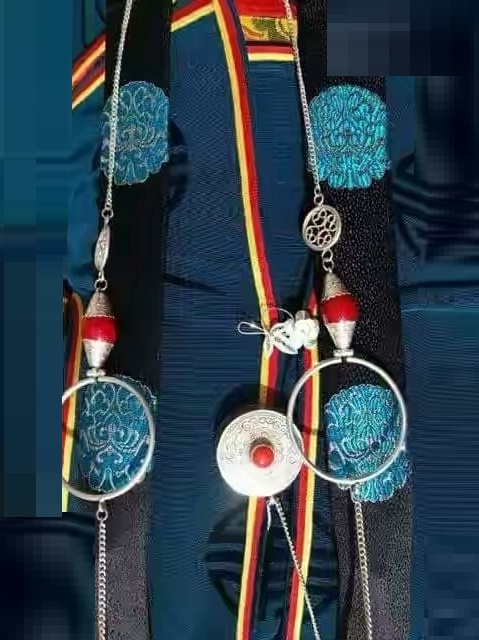 The festive breast ornament “Khoolopsha” consists of five plaques, gradually becoming heavier downwards, where the largest of them has an unusual outline. 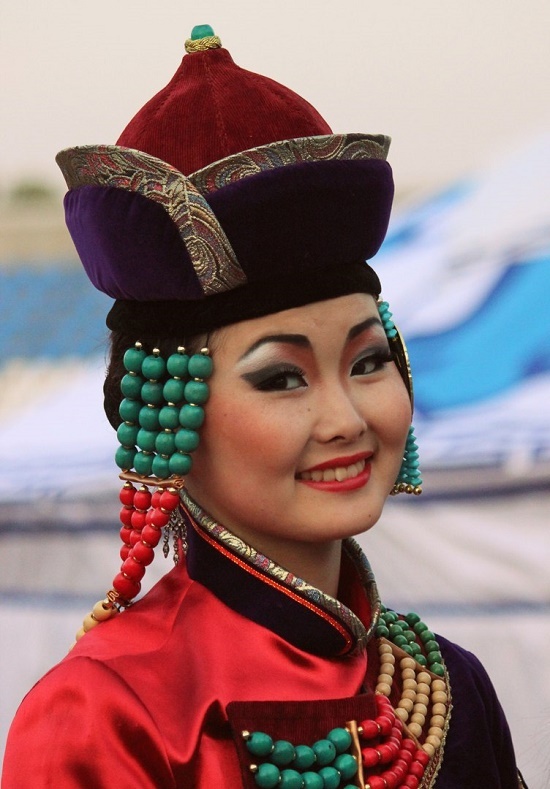 The central circle – usually edged with teeth; between the four large ones, four smaller ones are visible, both located crosswise, organically fitting into a square with slightly curved sides. 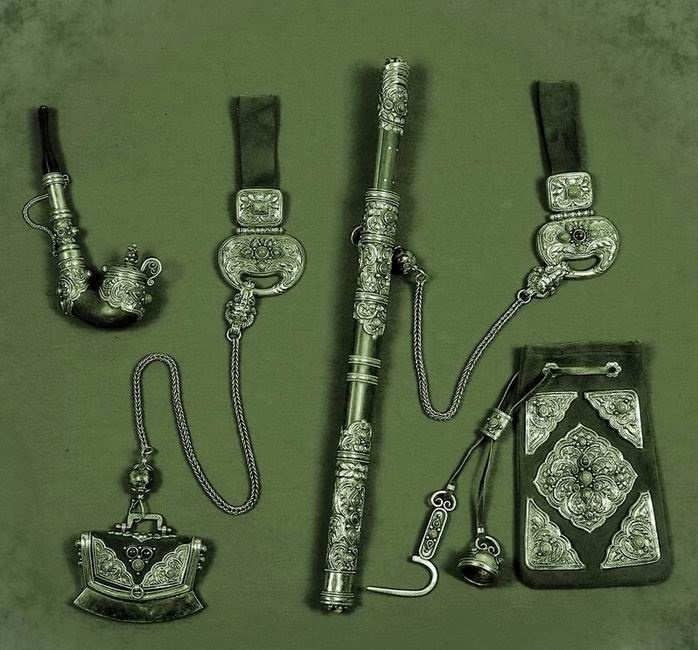 On the patterns of such ornaments there is a steadily repeating motif of the combined figures, which symbolize the solar disk and eight directions: the four main and four small, intermediate. 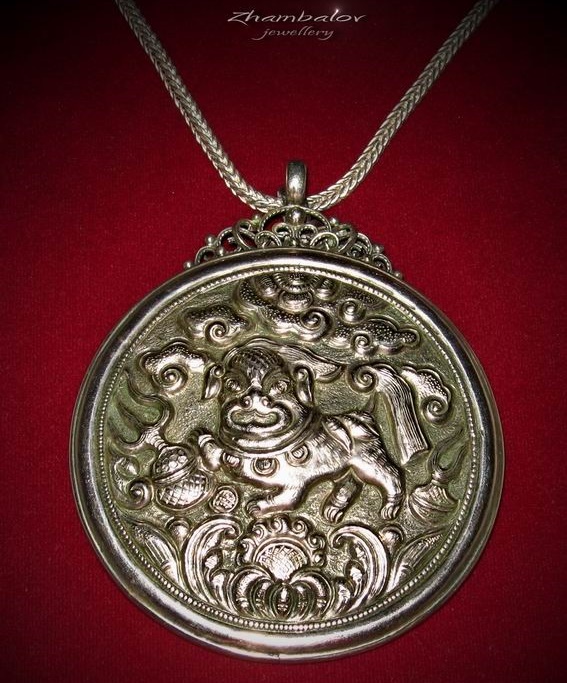 Modern “Khoolopsha” is a silver or gold coin on a chain traditionally given by the groom’s side during matchmaking. 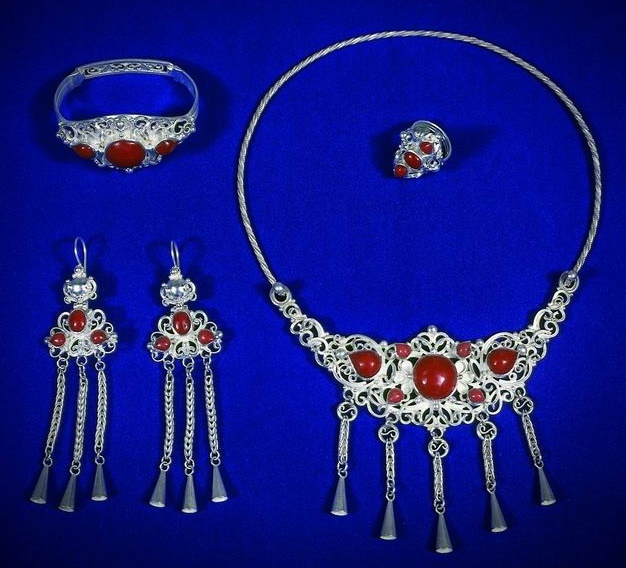 Ladies’ breast decorations include guu – boxes of silver, in which women kept the texts of prayers or religious relics. 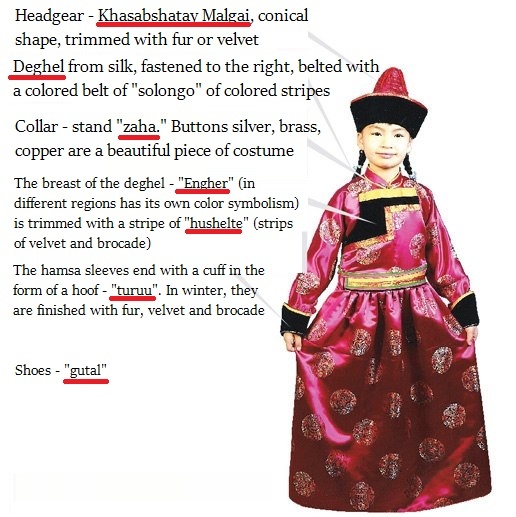 The national costume changed with the transition of a woman from one age period to another, as well as with a change in the role in society, and the family. 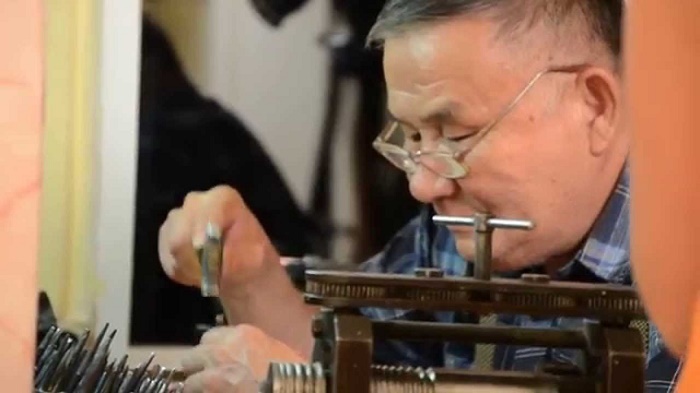 One of the most outstanding masters of jewelry art in Buryatia was Bulat Gandenovich Zhambalov (1952 – 2016), whose works are represented in the gallery.